A couple of weeks ago I met Tamzin Outhwaite at the launch of Sorelle, a new non-alcoholic wine that’s perfect for mums-to-be. Then, Tamzin was very pregnant but still looked totally glam in a maternity LBD. Now of course, she has a new little lady to look after as she recently gave birth to her second daughter Marnie. 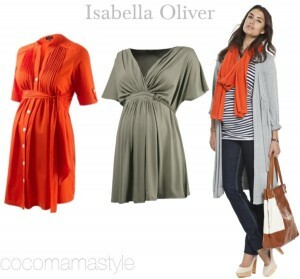 I asked Tamzin about the must-have maternity brands in her mum-to-be wardrobe and share her faves with you here. Tamzin said her 4 year-old daughter, Florence is at a fun age now where she’s really getting into clothes (especially Disney Princess dresses!). She compliments Mummy on her outfit choices and likes to suggest things for Tamzin to wear together. There’s certainly a mini fashionista in the making there! Tamzin’s top store for maternity jeans. A wide range of styles and colours to suit your shape. Elegant lines and flattering shapes in wearable tones. Tamzin’s must-have shoes. Click to view a feature on these wonder pumps. Tamzin also shared her tips on how she juggles being a busy mum and still manages to get some much-needed ‘me-time’. Here’s a short film from my afternoon with Tamzin at the Soho Hotel. And in case you’re wondering, Sorelle really is rather good and only has 24 calories per glass! So you can feel like you’re drinking without the guilt or calories! Thanks to the very lovely Tamzin for her tips and the Sorelle team for a great afternoon.